Topeka Country Club, located in the state capital, began in 1899, but it was not until April 25, 1905 that the vision of the Club’s founders became a reality. 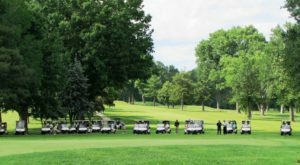 With 226 originating stockholders, The Topeka Country Club formally came into existence when they agreed to purchase the Guilford Dudley Estate.. Much like the City of Topeka, TCC has a remarkable history. Bob Hope, Ben Hogan, Jack Nicklaus, Tom Watson, President Taft and many other American-icons have been a part of TCC’s history, with visits to the clubhouse and playing our course. Much like the City of Topeka, TCC has a remarkable history. Those who have graced our clubhouse and golf course are part of a rich tradition that is carried on through our membership today. 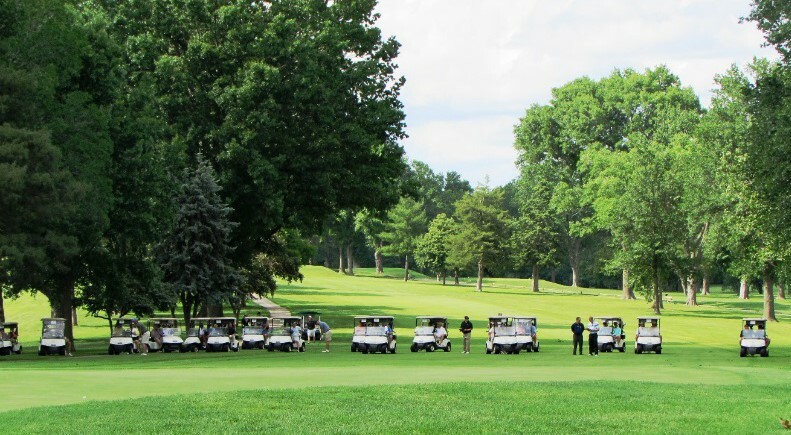 In 2005, the Club celebrated its Centennial year with many different tournaments and festivities. The Club recognizes the dedication of our members who have contributed to The Topeka Country Club’s proud history. TCC has had a wonderful past and is looking ahead and anticipating the next 100 years. All clubhouse renovations and expansions are expected to be completed by the fall of 2018. Position Specific: An opportunity to become the “Face of the Club’s” Food & Beverage operation in the club’s new direction. This is a working “Lead by Example” Executive Chef position that requires strong leadership skills and the ability to interact with membership and staff on a daily basis. Management needs an outgoing, engaging Chef who is passionate about food; will keep-up with the latest food trends and products and expand upon the success of the F&B operation. Also, he/she keeps a watchful eye on all food leaving the kitchen to assure that consistency and quality is achieved. Communicates directly with TCC’s President/COO on concerns regarding food prices, production, process, delivery problems, shortages and equipment problems or personnel issues. Hands-on in leadership, cooks or directly supervises the cooking of items that require skillful preparation. Planning and organizational skills essential. Detail-oriented and process minded. Ability to lead, teach, motivate and mentor aspiring individuals throughout the culinary operation. Team player and accomplished recruiter who leads by example developing a cohesive team. Develops recipes, standards and techniques for food preparation and presentation, and ensures the staff is trained to ensure a consistently high-quality product. Knowledge of food and wine pairings a must. Ensures that the highest standards of sanitation, cleanliness, and safety are maintained throughout all food service areas at all times. Trains team in exemplary food service practices and ensures all necessary certificates, licenses and qualifications for operation are maintained or exceeded at all times for all outlets. Maintains a “best-in-class” level of cleanliness and sanitation for the Club. The EC will maintain extremely high standards and a presence, working and supporting all areas of operations. Must possess a “can-do” attitude, supported by a calm demeanor. Provides training and professional development opportunities for kitchen staff; plans and manages the employee meal program. Directly oversees all interviewing, hiring and training of employees which includes planning, assigning and directing tasks to all culinary staff. 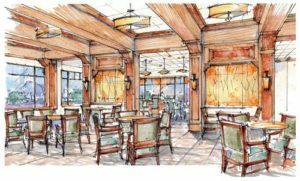 The new Executive Chef will actively engage with the membership through email communications, cooking classes, walking the dining rooms and author newsletter articles. Competent in organizational and time management skills. The ability to demonstrate good judgment, problem solving, and decision-making skills. The EC will attend all Executive Staff meetings and is expected to maintain a professional relationship with all personnel. Annual combined food cost 33% with a sales mix of 40% a la carte and 60% banquet. There are 10 kitchen employees supported by a $370,000 labor budget. The Club maintains three (3) kitchens, all in excellent condition; rated 5 on a 5 scale. The EC is supported by two (2) Sous Chefs. The Chef does the purchasing. 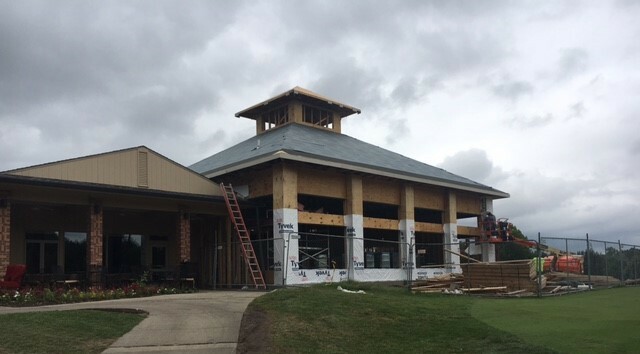 There is one 45,000 sf Clubhouse supported by 383 members whose average age is 58. Members use the Club twelve (12) months per year. July and August are slowest months. The EC reports to the President/COO and works closely with the Catering Director, Controller, Food & Beverage Manager, Banquet Manager, Controller, Head Golf Pro and Tennis Pro. 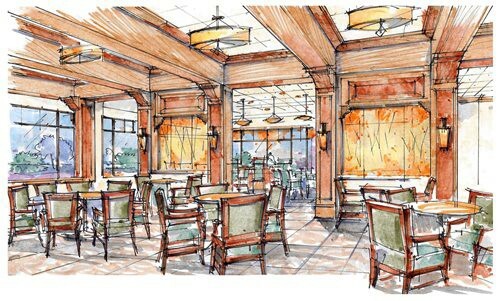 Grille Room – Ala Carte – Casual Attire with 90 seats. Breakfast, lunch & dinner service seven days per week.– 200 capacity. Serving breakfast, lunch & dinner seven days per week. Living – 60 capacity. Serving breakfast, lunch & dinner seven days per week. Banquets & Catering – The Club is also known as a premier Event & Wedding Venue with banquet facilities offering extraordinary food and impeccable service in an elegant atmosphere. The Club prides itself in offering a beautiful venue for wedding receptions, corporate meetings, formal and informal affairs, year-round. Interested? The Club offers a competitive compensation plan including a competitive base salary and performance bonus based on experience and skill, ACF dues, Convention(s), dental, health & life insurance, retirement plan and other standard perks.